There’s lots to see and explore here on Crochetpreneur! I didn’t want you to feel overwhelmed or lost, so take a deep breath, grab a cup of coffee and let me guide you through the next steps. Join the Facebook Group: Crochet Entrepreneurs Collective. Jump in and join the collective! We’ve got a growing group of almost 1,000 crochet business owners who would love to support you in your creative biz owner’s journey. It’s not just another online crochet group full of time-sucking drama and self-promotion. Instead, we focus on growing your crochet business with tips, encouragement, and positivity. Our focus is connection and community – not competition. You can join us here. Don’t miss a thing. Subscribe to my weekly newsletter to receive exclusive content (and gifts), stay on top of the newest posts, patterns, and training opportunities, and be in the know about the latest happenings at Crochetpreneur. Of course, you can unsubscribe at any time. A Maker’s Life: In this section, I’ll share with you stories of other successful maker/entrepreneurs, inspiration, random stories from this maker’s life behind the studio doors. I hope you’ll find some encouragement and motivation here as well. Blogging for Makers: Tips and tricks for starting your own profitable maker-blog. Like I mentioned before, there is information here for all kinds of crocheters, hobbyist and professionals alike. So, where should you start? Hobby Crocheter: If you’re not interested in starting a crochet business, you will be most interested in the Patterns and A Maker’s Life sections. 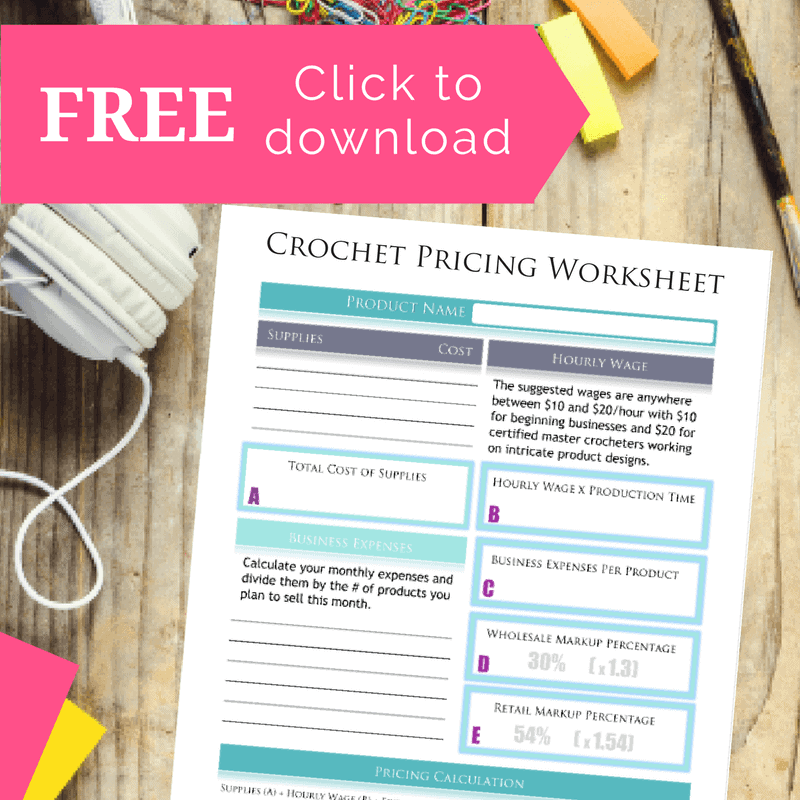 Beginning Crochetpreneur: You’re just starting your business. Good for you! You will probably be hanging out in the Handmade Business Basics section the most. However, the Patterns section will come into play when it’s time to work on inventory. Then, you can grab a cup of coffee and a warm blanket and join us in A Maker’s Life for a little bit of inspiration and encouragement. Seasoned Crochetpreneur: You’ve got your business well in hand. You’re just looking to learn something new or change things up a bit. You will probably find helpful direction in the Handmade Business Basics section. And you’re sure to find new designs to add to your collection in the Patterns area. And if you really want to kick things into high gear, check out Blogging for Makers and open your business up to a wider audience and varied streams of income! Non-crocheting Maker – If you’re looking to start a business, you will find some helpful information in the Handmade Business Basics section. You can also find inspiration and encouragement in A Maker’s Life. If you’re wanting to purchase completed crochet projects, I have hats, gloves scarves and more available in my Etsy shop, Made with a Twist. Click HERE to shop. For Everyone: This website is a place with a growing database of information, resources, and inspiration. I hope you find that you love it here and that you feel welcome. I am always grateful to hear from you with regard to your needs and desires for your business. Please feel free to leave a comment or, better yet, join our community on Facebook where we can get to know one another better and we can all learn and grow together! You can find the Facebook group HERE. Thank you so much for stopping by – please get cozy and stay a while! that comes from successful Crochetpreneurship!